College Prescription Drug Study– The CPDS is a multi-institutional study of prescription drug misuse among college students at up 25 institutions across the country. Tasks include recruiting institutions to participate, troubleshooting survey administrative issues with institutions via phone and email, preparing samples, completing IRB application, administering survey, cleaning and coding data, analyzing data and preparing reports. 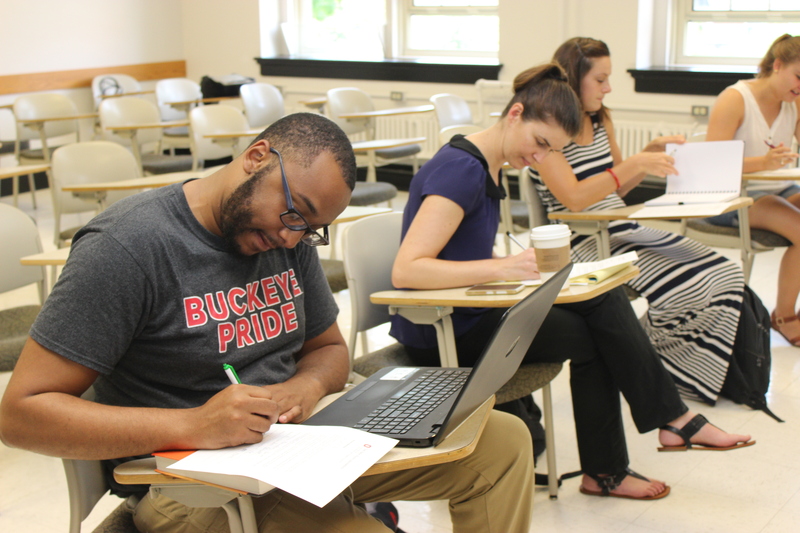 Student Life Survey– Survey of Ohio State undergraduate and graduate students on involvement in co-curricular activities, experiences at Ohio State and other topics determined by relevant annual trends. Wellness Assessment– Survey of Ohio State undergraduate and graduate students on the interrelationship between the nine dimensions of wellness (http://swc.osu.edu/about-us/9-dimensions-of-wellness/. Applications will be accepted until the positions are filled. Review of applications will bein on April 15, 2017. Please submit a cover letter, curricula vita/resume, a writing sample (preferably including an empirical analysis) and a list of three professional references. Posted by putnam.83 at 5:56pm Posted in Funding, Higher Education & Student Affairs, Job Posting, Research. Bookmark the permalink.